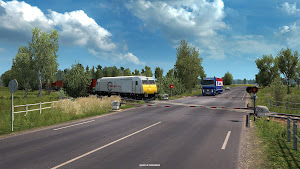 Today we'd like to present another appetizer of the approaching update 1.35. 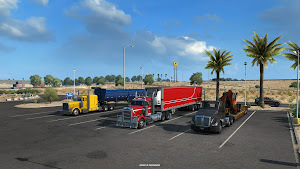 Players of both American Truck Simulator and Euro Truck Simulator 2 can look forward to some (a lot, actually) new tarmac! Let's start in America. 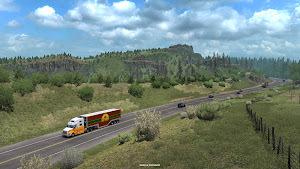 Newly added OR-58 will connect the cities of Eugene and Bend, and there's much to look at! For some time this road tracks Salt Creek river, which will lead you to the Odell Lake. There, far behind it in the shroud of fog, you'll see the majestic Diamond peak, the highest mountain in the region, while on the other side lays the Willamette pass resort Ski area. Pity there's no time to lose when one's working, right? 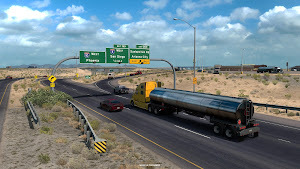 Next comes the last part of well known and liked OR-140, so you'll be able to drive all the way from Medford to Winnemucca finally! 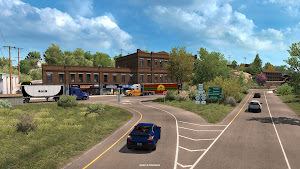 Starting in Klamath Falls, you'll probably notice that the city centre was remade and enlarged. 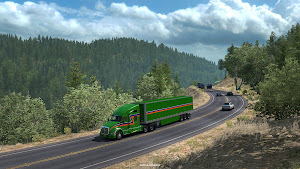 The new road will take you past the great Upper Klamath Lake then and through the deep woods of Fremont-Winema National Forest farther to Medford, Nevada. 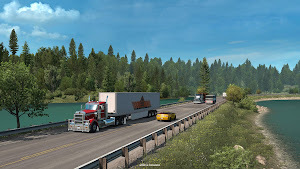 Last but not least, there's CA-299 offering the option of driving from Redding directly to Canby, Oregon, adding also a little town of Burney along the road. It's a pretty long drive, which has it all - farmlands, meander climbs, junctions, landmarks, mountains canyons, gorges... you name it! 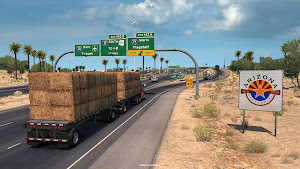 In addition to the new roads, there are various changes and additions. 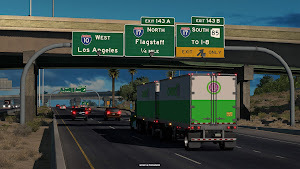 With CA-299, Redding received another city part around the junction of Interstate 5 and CA-299, a new garage and a truck dealer. 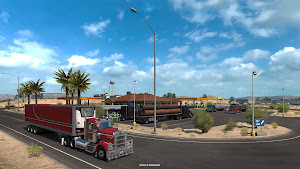 Farmington (New Mexico) got also a new garage, while Yuma has a new garage, a truck dealer and a brand new truck stop. And there's one more considerable improvement - we keep working hard on road signs rework to make it more realistic. If you like to navigate the world "the old way" - turn off the GPS and just watch the signs along the road closely - you should have a much easier time in more regions. 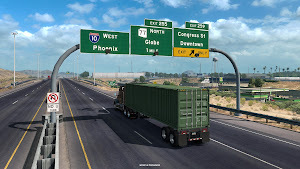 The sign system in Arizona, along with several truck stops and the US-95 in California, got a complete overhaul - so the old-school trucking should feel way more natural from now on. Finally, let's look at the old continent! New additions here are part of our continuous effort to improve the vast road network Europe has already. Let us mention here two new rural roads in France - one for the Viva la France! map expansion, and one for the base game. 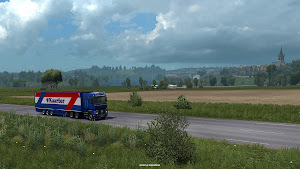 The first one is connecting highways A10 and A6 and you can find a beautiful city of Montargis near-by, while the second road is connecting A6 with road N44. 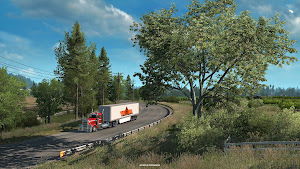 Since the rural roads in France are very popular, we hope you'll like these too. Not enough you say? Absolutely right! Revelations are far from over, as some region(s) aren't unveiled at all yet! Remember to check our blog and social media (FB[www.facebook.com], Twitter) and follow our Steam developer page, as more info is coming soon.